The annuity industry is trying to find out where the market is, an industry analyst said, while the marketplace makes some shifts in the face of flat sales. 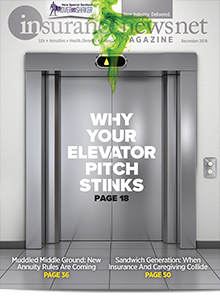 The fast-selling indexed universal life segment saw some product tweaks, while variable universal life gets back into the sales game. Advisors are constructing new fee models to serve younger clients and build their wealth. 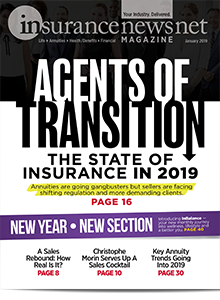 The question is how and when the tide shifts between marketing an annuity for accumulation, as agents seem to be doing now, and marketing an annuity for income, as agents are likely to do again in the future. High-net-worth individuals are finding that investing in this type of annuity gives them protection against longevity while cutting taxes. Will Fixed Indexed Annuities Have Another Record-Setter? 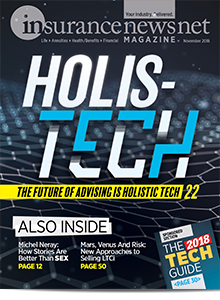 Between the fiduciary rule delay and enhanced features, FIAs could see a sales frenzy in the second half of 2017, some observers say. More companies are adding fee-based fixed indexed annuities to their product mix, as the industry adapts to the fiduciary rule. But will advisors warm to selling them? New annuity research tools will help advisors demonstrate that their recommendations are in the best interest of clients. As part of its review of the Obama administration’s fiduciary rule, Department of Labor regulators are expected to consider returning fixed indexed annuities to a less-stringent exemption. The shorter surrender periods and no surrender charges are the result of annuity companies offering fee-based financial advisors new options that coincide with the dawn of the Department of Labor’s fiduciary rule. Annuity sales were still coming in as the fiduciary rule was in its early weeks. In response to the DOL fiduciary rule, carriers are recasting commission-based fixed indexed annuities into fee-based siblings. Research shows that consumers want a lifetime income, but only 28 percent of advisors are talking annuities. Variable annuities have long been hot sellers for agents, but times have changed. 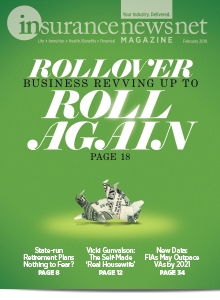 Regulations and other pressures have squeezed the VA market. But the products aren’t likely to disappear, analysts say. 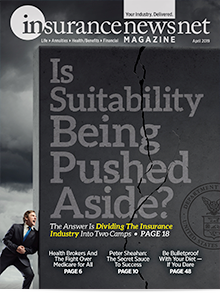 An insurance marketing group’s CEO gives insights into the changes facing the distribution channel that generates billions of dollars in annuity premiums each year. Investors crave exchange-traded funds for their flexibility, liquidity and convenience. Marketing organizations say reserve requirements might be too high to conduct business. With fewer clients having a pension available to fund their retirements, the opportunity is there for advisors to build retirement income streams using annuities. What independent insurance agents who sell fixed indexed annuities can expect under new supervision frameworks from marketing organizations authorized to act as financial institutions. Principals decide when and how to transition from their agencies. By stripping out agent commissions from its new FIA product, a carrier is appealing to fee-only registered investment advisors. As more Hispanics move up-market, they are more receptive to buying life insurance. Analysts say the Department of Labor rule will have its heaviest impact on the variable annuity market. Where fixed index annuities are concerned, the independent producer sales channel has almost reached a saturation point, according to a researcher. Some observers say Actuarial Guideline 49 will install some long-overdue corrections to what they describe as questionable behavior. Many deferred income annuity buyers are forgoing the return-of-premium option in exchange for higher annuity payments — nearly double the payments — once they reach age 80. Some advisors lead not-so-secret double lives as media celebrities. Here’s how they got their on-air and online gigs, and how their media presences have helped them position themselves as experts in their fields. The coalition’s campaign aims to bring consumers to agents. Consumers say they need what annuities provide — a guaranteed income stream in retirement. So why are people scared off by the word “annuity”? Here is how to ease consumers’ fears. After more than two decades of socking away funds in a defined contribution plan, a workplace investor recalls the mistakes he made and the lessons he learned. Advice on an indexed universal life strategy touches off a debate on positioning the product with prospects. The National Association of Insurance and Financial Advisors (NAIFA) looks to the ranks of independent advisors as one way to boost its membership base. A family weighs the risk of a high deductible versus a high premium and decides to roll the dice. Sales forces trained to sell in a particular way offer annuity carriers tighter control over their products, according to an analyst. Advisors who recognize the characteristics of the ideal indexed annuity prospect reap the benefits in increased sales. Whether online or “old school,” life carriers and advisors need to develop strategies to reach consumers who want to buy insurance their way. The GOP does not support the examination legislation. Also, regulatory agencies are looking into retirement funds advice. Longer lifespans and complicated relationships contribute to your clients’ reluctance to talk about finances with family members. The Senate is considering the Secure Annuities for Employee Retirement (SAFE) Act, which would offer public employees a new type of defined benefit plan built on fixed annuities. As carriers pull back on variable annuity rates and options, advisors are pitching the advantages of stability, diversification and investment hedges aimed at absorbing volatility inherent in market spikes. After a producer-licensing bill cleared a key Senate committee, fiduciary standards is the next issue that industry groups are tackling in Washington. 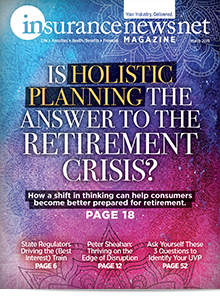 A PBS documentary on the effectiveness of retirement plan advice rekindled a discussion on the application of fiduciary standards for financial advisors.